Welcome to Middlehills Farm Bow top Gypsy Caravan, "Rosie". She sleeps 2 people on a pull out double bed, has seating and lots of storage. Outside there are stunning views overlooking the surrounding countryside. there is a table and chairs, a firepit with a cooking pot over it and a canopy to sit under the stars. 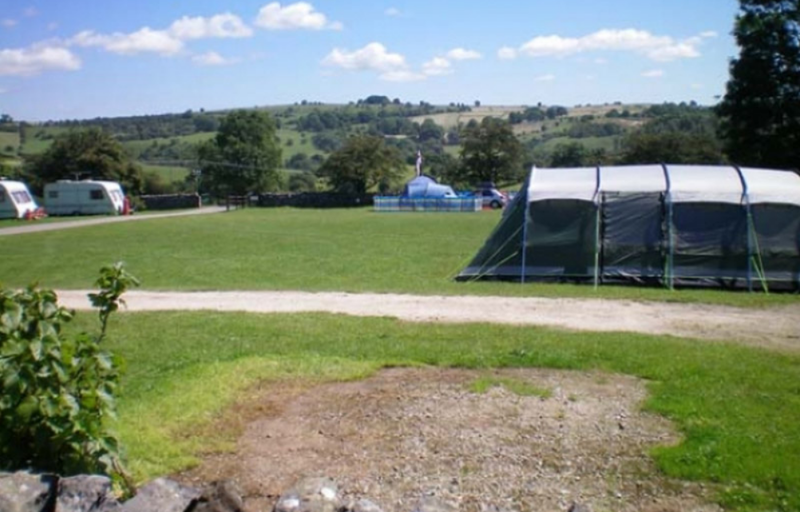 The toilet and shower block is a short walk away, where there is a fridge/freezer to use, as well as a pot washing area, and electric sockets. You will need to bring all your own bedding and cooking equipment as they are not included neither is any heating. Check in is 2pm on the day of arrival, and departure time is 10am. We charge £50 per night with a minimum of 2 night stay, and runs from May to end of September 2019. To book please go to the navigation at the top of the page and click pay and book online and follow the booking in procedure where you will see it says Gypsy Caravan.